A few months went by and I felt the itch tp perform again when Scott approached me saying his brother Ronnie who is an excellent singer was moving to Dallas and that that he spoke to Eddie who was interested in starting a new project. 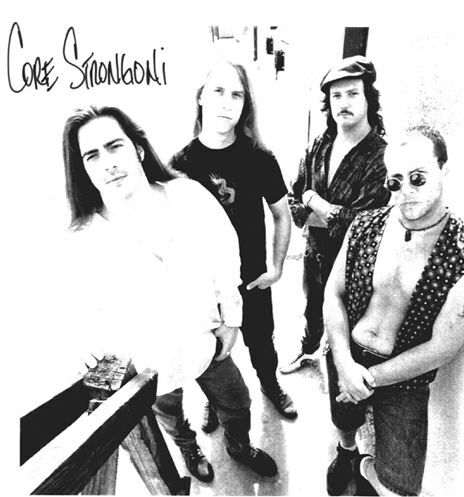 So in 1995 and 1996 Core Strongoni was formed. Well, any publicity is good, so having people repeat our stupid name over and over trying to get it right, and all the jokes only got us more attention and recognition around town. I typically will refer to this band as "Core Strong". Our musicianship was tight and it was great. In my mind, this is the most professional band that I have been in, with the best chance for success. 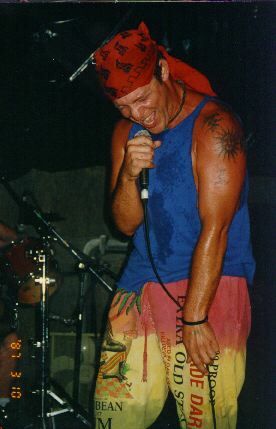 Scott later formed Waja, Discard the Weak and The Collective. Eddie never stopped playing and joined Moxy, who became the popular Black Tie Dynasty and toured the world. I took a 10 year break and am now doing my own thing with Full Circle.